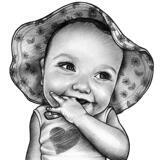 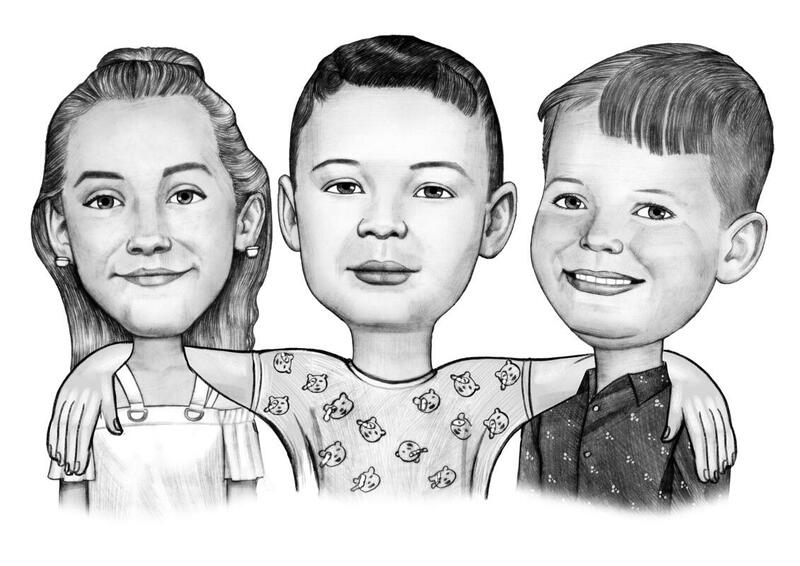 Order a funny caricature drawing from photo of your child or friend's one. 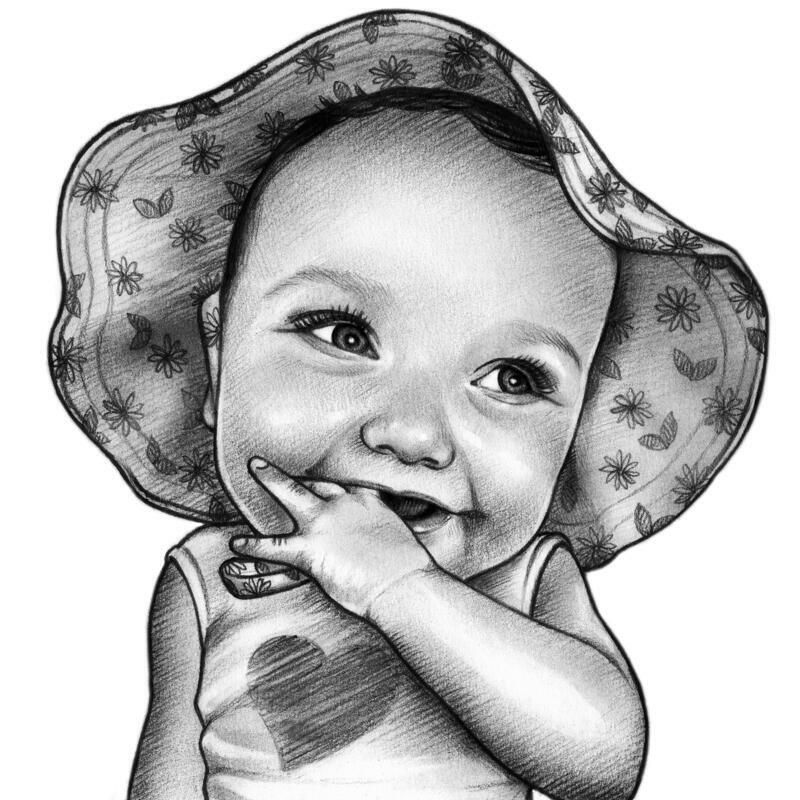 It is a nice drawing which will be hand-drawn in black and white pencils by our professional artist. 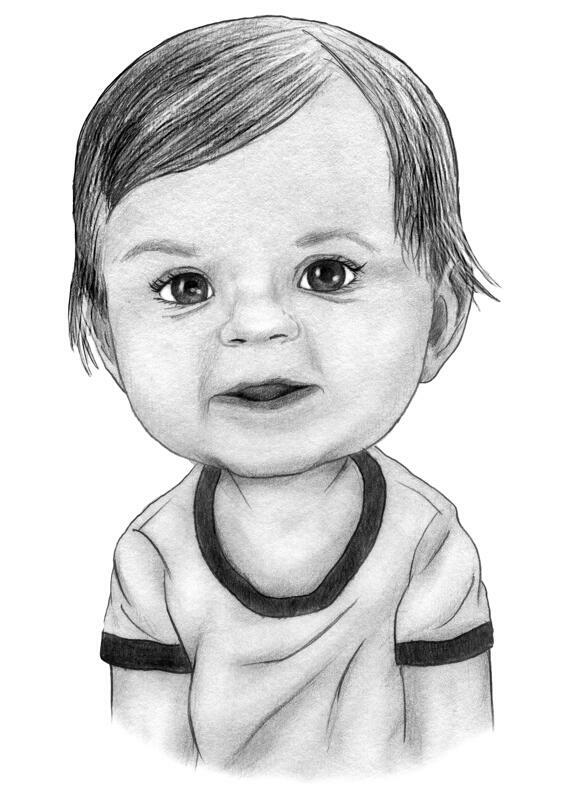 We can draw your child featuring his/her favorite TV Series or Sport activity. 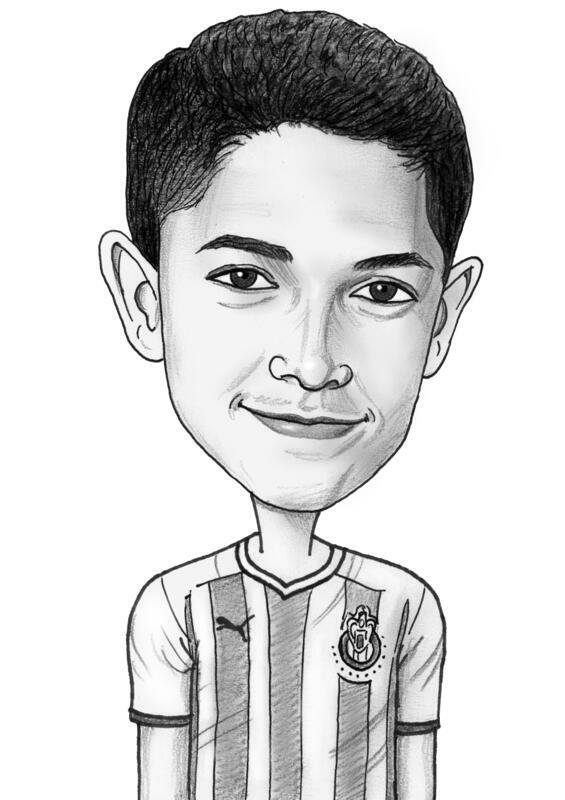 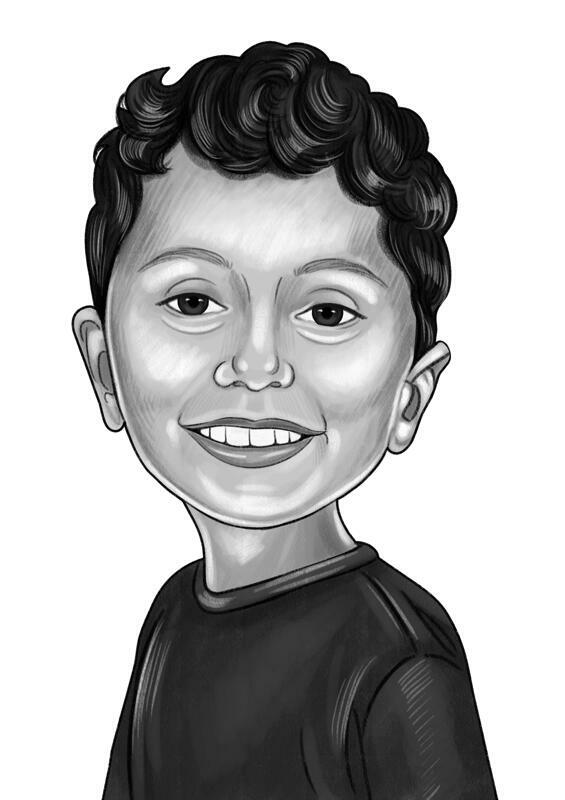 Black and White Pencils Teen Caricature from photo can be as avatar for social network or you can frame it and hang on the wall at home. 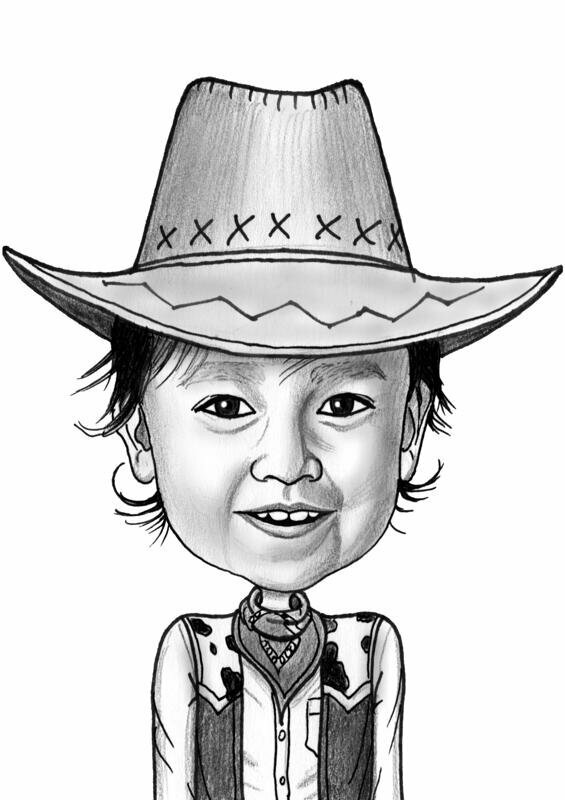 Caricature of teen girl or teen boy can be drawn as for a gift on Birthday or Children's Day. 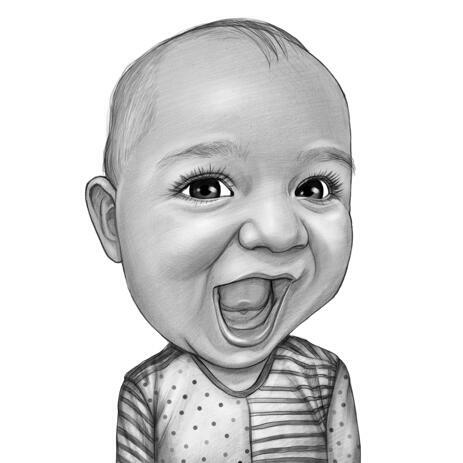 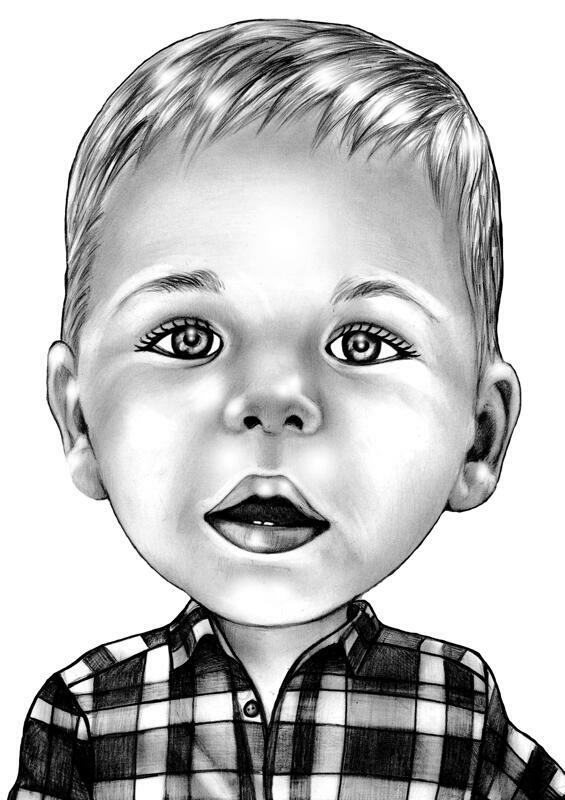 Caricature of a child will be delivered as a stunning looking JPG File to your Email for approval. 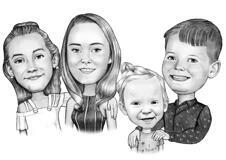 We offer you other suitable delivery options at extra cost: Black and White Caricature of a Teen printed on Canvas, Photo Paper with worldwide shipping.